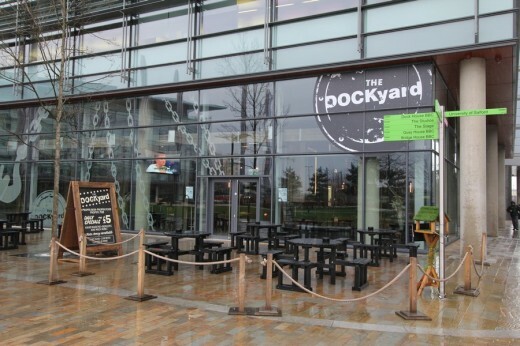 The Dockyard is a stylish new bar nestled by Manchester’s popular Salford Quay Side. With Media City bringing more people to the area, the bar meets the demand for a late night licensed bar in a location currently dominated by coffee shops. 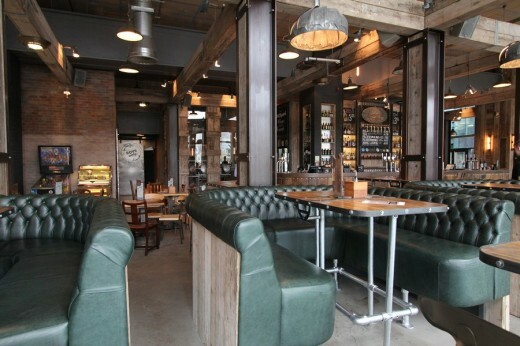 It was felt that the interior of the bar should reflect the dock side location and incorporate industrial materials and rustic finishes. 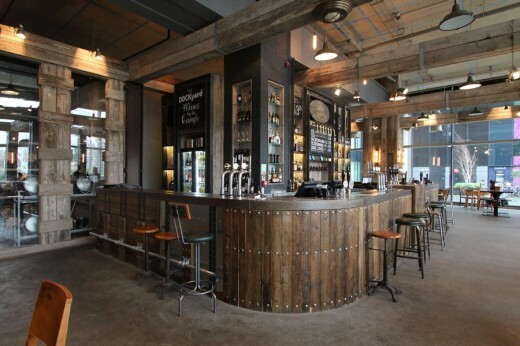 Despite years of development on the quay and the bar’s modern exterior, this industrial edge was brought to the Dockyard using wood with a weathered effect, concrete floors and ‘ship cabin’ style beams. 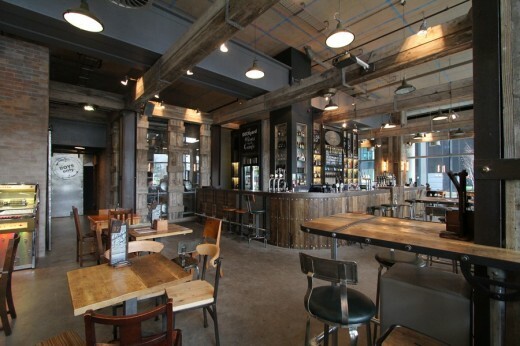 Lomax Interiors was commissioned to help design and manufacture the bar and bring the brief to life. Owner of Lomax Interiors, Kevin Lomax, envisioned a rustic look which could be created with the simplest of materials. Taking the boards from old wooden pallets, each piece was individually stained to create an overall effect of different colour intensities. 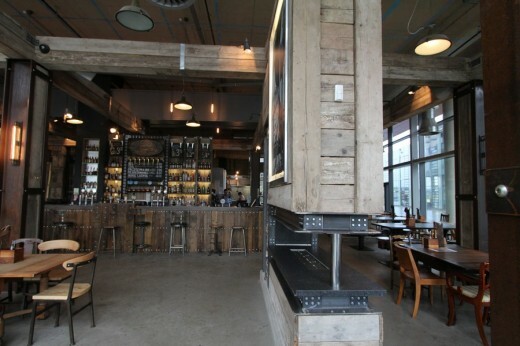 The result is an unusual bar design which brings both an industrial edge and indisputable warmth to the space. The surface of the bar is crafted from solid oak and required a finish that would be slightly rough to the touch yet practical for its usage as a drinks and socialising area. By sanding the surface and then sealing, a beautiful appearance and texture was created. The bar’s impact is further accentuated with the addition of sparse, mismatched stools. With muted leather-effect couches, scaffolding supported tables and steel features, the design remains familiar yet interchangeable throughout.